At Acupuncture Plus, your treatment is as individual as you are. Using a combination of cutting-edge techniques and millennia-old Chinese medicine methods, Carol LeCroy addresses a wide variety of conditions with a special focus on pain, infertility, women’s health, and general wellness. By synching several treatment modalities—from traditional acupuncture to laser therapy to modern nutritional supplementation—Acupuncture Plus approaches your unique condition with a personalized solution. 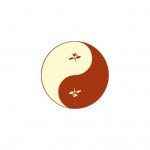 Contact Acupuncture Plus today, and experience results made just for you. When I discovered Carol LeCroy and acupuncture, I discovered the elixir of life! Whatever aches or pains I feel are eliminated by her fine treatment. Carol LeCroy and acupuncture have become a mainstay in my health regimen.